Shop software from Intelligent Retail is so useful and easy to use. Our software has transformed retail businesses across the UK and makes the day-to-day running of your shop so streamlined. Shop Software: Easy to Use Affordable EPoS Software for Shops. Award Winning. Also drives your Website! Intelligent Retail is a family run company that specialises in Shop Software for independent retailers.  The Connect software includes EPoS Till and Back Office functions, it has won many awards for innovation. Connect software is easy to use and yet gives you all the functions needed to run a modern retail business including an eCommerce website if you wish. The best thing that this comes in an affordable package. Shop Till Software: Easy to Use! Staff in shops are used to cash registers, that is why we based the design of Connect on one! With touch screen access, the till software is very easy to use in a shop environment. Yet you get powerful features like management of deposits, back orders, visibility of stock in any location and bar-coded receipts to reduce theft from returns. The till is very secure so you can rely on your staff to cash up because everything is recorded professionally. Software Reordering. Intelligent yet flexible! Connect shop software has an intelligent reorder engine that analyses sales flow as well as minimum stock quantities to suggest a re-order profile for you. Then you can print off orders for each supplier in a click. It&apos;s that fast. Stock replenishment is designed the way smaller retailers really want it to work. Quick, simple yet flexible. The Connect System calculates VAT on a product level. At the end of each financial period, just click a button and the accounts information is provided for you to send to your accountant or use in any accounts package. This saves hours so you can get on with something more useful and probably more enjoyable! Too much information is just as bad as too little. So we have an intelligent reports screen to quickly find the information you need. This is refined reporting to make better buying decisions. From your till you can run a range of marketing campaigns including instant discounts and customer loyalty point programs. Because this is a multichannel system you can run promotions across all channels. For example advertise a promotional discount code and customers can redeem them in the shop or online. Gift vouchers can also be redeemed in store or online. As part of the Connect multichannel system, your eCommerce website can be easily integrated with your EPoS system. But lots of companies say that! Well this is the original EPoS system built as a multichannel system. You have to see ours to believe how easy it is to run your eCommerce website and shop together with full stock control integrated in one place. So if you want to reduce your costs in your retail business, if you want to improve your revenues and cash flow or make the business easier to manage, then we can help. With Connect, we have the right products when we need them. This means we make more sales and keep customers happy. It&apos;s quick and easy to make more accurate ordering decisions. There seems to be no limit to the variations Connect can support.